Predicting future for technology is hard because it is like a building on a quicksand of time with a shaky sort of structure, has no liability. We cannot say what will be the shape of technology in future considering its speed and growth. Everyday there is a new product or technology is being introduced in the market and it starts trending globally. Mostly we get to hear a lot about e-commerce and its growth in recent years. Hundreds of online stores open every single day reaching to every door around the globe but there is a new trend emerging which is Mobile commerce. Businesses are reaching out to every individual carrying a mobile Phone or other devices and making a large impact at the core of lives of the people. Earlier, when the smart phone technology was initiated, business had to make specialized mobile sites to accommodate themselves on small screens and internet problems. No doubt, developing these sites was costly as well as time consuming, but the worst part was their maintenance, which was extremely time consuming and even frustrating for customers who wanted to make purchases. With the development and ever evolving mobile technologies, retailers have taken it as an opportunity of utilizing mobile commerce. There are specific apps for shopping experience on the go, providing great offers to consumers on mobile purchases. No doubt, the first point of contact between retailer and a customer is website but once you get in touch with other options such as mobile store apps it’s hard to keep your hands off it. Mobile shopping is an amazing experience; one can explore any type of store, product or service, anytime and anywhere utilizing their spare time. Think about going to a big mall, after coming from work, which has three or four hundred stores and you walk though the mall and each and every store searching for what you need, making comparison of the prices of same product, finally u select your required items then paying bill at each shop, standing in a queue waiting for your turn and repeating this process in 10 shops, then driving back to home… Just a thought of it can make one so exhausted and practically doing is rather unimaginable. Without a doubt there is a big charm of shopping at malls and stores, touching and trying products of your desire and making immediate buying decision with full confidence, without worrying for quality or services. But on the other hand, in this fast pace world where every second is precious, we hardly get time to spend with family or friends. Thus, utilizing a great opportunity of shopping while sitting with your kids, playing with them, watching movie with your friends, sitting alone on the couch or on the way to your work in a train is a fabulous idea which makes your instant relax from fatigue. As explained earlier, while sitting in a store you might get neglected by most of the customer if your store is at some back corner of the mall, even if you have best products, prices and quality. The biggest advantage for a retailer is that there is a potential pool of new customers who can visit your store any time; all you have to do is attract them. It’s entirely up to you, which is by constantly updating your site, apps and transaction process. Many people browse products before going to sleeping just for killing time and this means you have higher chances for gaining business if more they optimize your site. If we see from a customer’s perspective mobile purchases keeps one away from paper money hustle and everyone likes to pay through a credit or debit card instead of keeping cash. From retailer’s perspective it’s always easy to get a payment immediately which goes to its account directly and showing a graphical form of its online sales and revenue. It is the biggest advantage of mobile commerce that it breaks the traditional ways of retail sale and introduces new ways. Imagine if an employee has to manually update every detail and information about products, how annoying it would be for them and also consumers to deal with every product’s information. The sweet charm of mobile shopping is that customers have every detail and description of the product available with all items as well as pictures of how to use those products in different ways. Such as if a customer is looking for a dress, all the description will be mentioned as well as pictures on model after wearing, how would it look in all different colors. This is a tempting offer for a customer without a hassle of trying each dress and its different colors so customer will land on buying it. A research report by Barclays predicts an enormous revenue growth of £32bn for businesses through the m-commerce platform which can quad plate in 2019, yet very less percentage of retailer’s think of m-commerce for their increase in sales. Taking examples of the successful ecommerce sites like Alibaba, Aliexpress, ebay and Amazon we can clearly see that they are generating revenues in millions and there is a huge part of mobile apps which attracts consumers by providing reduced prices on each item purchased via apps. But in comparison Vantibolli is an emerging name for providing better options for retailers and customers, so that they shall not be worried about offering sales every now and then or reducing their prices because its services are totally free for retailers. Also the mobile app has distinctive features one of which is a completely independent app for the store, so consumers are focused on particular store at a time. Mobile commerce popularity is undeniable. 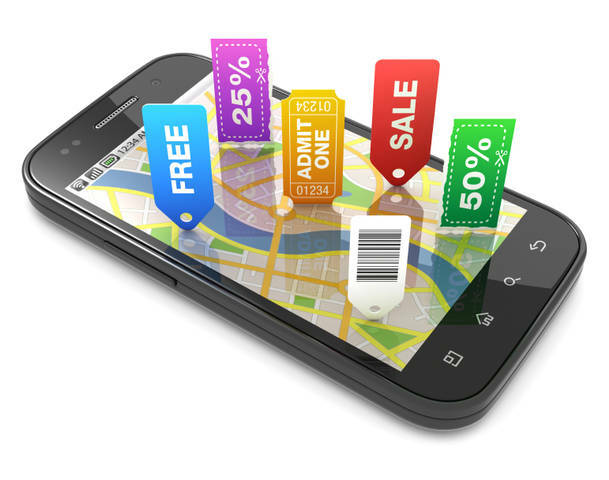 Knowing the few of many advantages of mobile commerce shows that it will grow further in future and is unstoppable. It’s only up to retailers to improve themselves and update, utilize new technologies and options for boosting their business. Tibolli.NET is a platform with a great opportunity for retailers to flourish in future because M-commerce is the Future”.